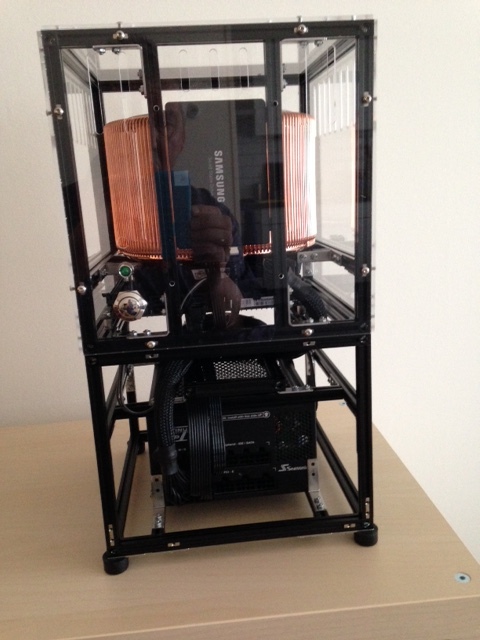 A customer sent us these pictures. 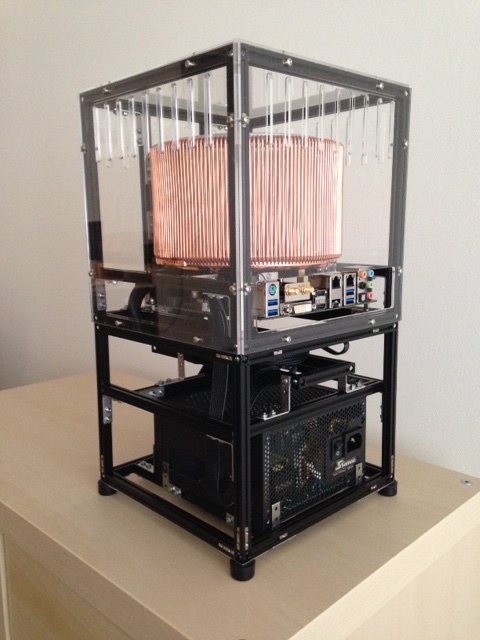 Wim mentioned the following in his mail: "Recently I built a PC 'Case' with MakerBeam for a completely fanless PC. Attached are some pictures you can use for your website (if you want to). 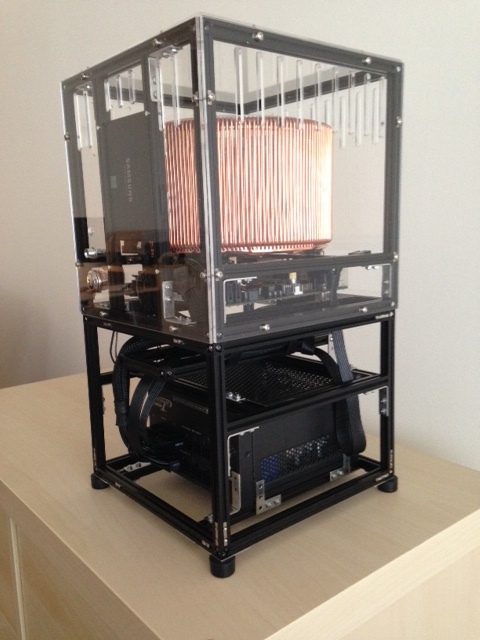 I mainly used 200mm beams, a fanless ATX power, a mITX board and a fanless CPU Cooler. The MakerBeam frame will be paneled with plexiglas covers (top already done in pictures). MakerBeam was great for this project, light weight products, extremely solid, flexible in design and no machines needed." Pictures and more details were later published on FanlessTech.com. Here is a link.